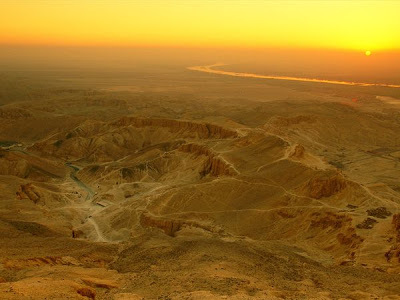 On the mountain-side behind Thebes there are many small valleys of which the Valley of the Kings, also known as «the tombs of the king of Biban el-Muluk» is the most famous. Originally it appeared as a gorge lost among the rocky ravines. Today even though roads have been built making access much easier, it still retains intact its mysterious fascination. 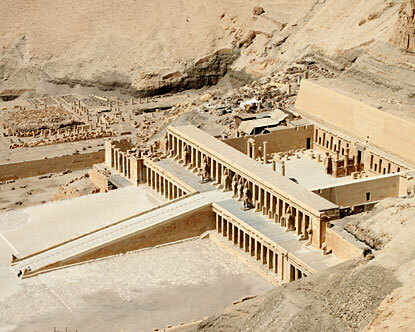 Its history began with the unlikely decision of a pharaoh, Tutmose I, not only to build his tomb away from the funerary temple but to ensure his body burial not in a monument but in a secret place. His resolution to do this broke a tradition going back 1700 years. The architect, Ineni, excavated for the sovereign a well-like tomb in an isolated valley and then carved out of the rock a steep stairway leading down to the burial chamber, thus setting a precedent which was followed by all successive pharaohs. Tutmose I’s rest however did not last long, neither did that of the other kings. The history of the Valley of the Kings is one long story of pillaging, plundering and night time robberies by the light of a few torches. 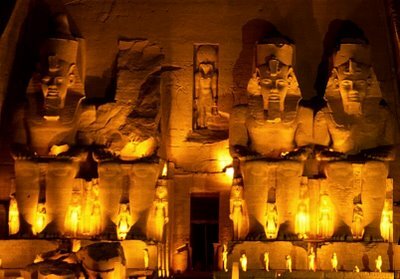 It was not only thieves, who already during the pharaonic era were engaged in systematic plundering to obtain the jewels and other treasures, but also religious and devout men who, knowing that their sovereigns were not safe, carried them away from one burial spot to bury them in another. 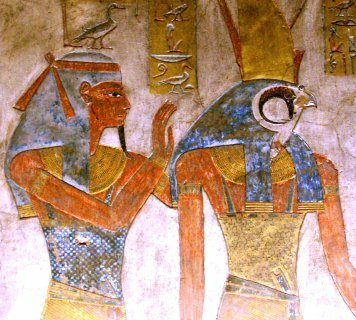 And so it went on; Ramses III was buried three times! A week later two hundred men packed up the mummies and carried them down the valley to the point where a boat was waiting to transport them to the Cairo Museum. And now something strange and very moving happened. On learning that the rediscovered pharaohs were about to leave their age-old burial spot, the peasants and their wives gathered on the banks of the river and as the boat slowly passed by they paid homage to their ancient kings, the men by discharging their rifles in the air, the women by raising their voices in lament and scattering ashes over their faces.